Successful embryo implantation into the endometrium depends on embryonic characteristics and proper endometrial development. Reproductive medicine often focuses on embryo quality, whereas reliable diagnostic tests for endometrial receptivity are still needed. We previously found that human chorionic gonadotropin (hCG), one of the earliest proteins secreted by the embryo, was also expressed by the luteal phase endometrium around the implantation window. Here, we tested our hypothesis of endometrial hCG as an implantation marker. Endometrial biopsies and serum samples were taken from patients undergoing routine infertility diagnostics. Correlations of immunohistochemically detected endometrial hCG expression with adequate endometrial secretory transformation, the infiltration of CD45-positive leukocytes, clinical diagnostic parameters, and endometrial thickness were analyzed. 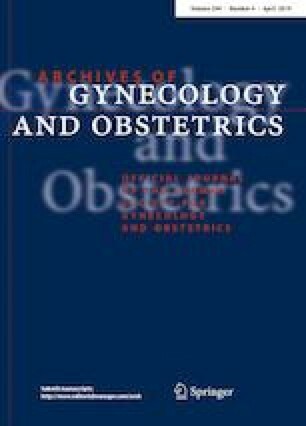 A highly significant correlation between the endometrial score, as a measurement for regular secretory transformation, and the intensity of hCG staining was found. The invasion of CD45-positive leukocytes increased with progressing endometrial secretory transformation and rising endometrial hCG expression. In addition, serum progesterone concentrations correlated with hCG expression by the endometrial glands. Our results suggest endometrial hCG as a possible diagnostic parameter characterizing the endometrial secretory transformation and, thus, possibly also its implantation capability. The authors consider that Sindy Schug and Anja Baunacke should be regarded as joint first authors. The online version of this article ( https://doi.org/10.1007/s00404-019-05130-y) contains supplementary material, which is available to authorized users. The authors thank Regina Scherling for expert technical assistance. SS: data analysis and manuscript writing. AB: Protocol/project development, data collection and management, data analysis, and manuscript writing/editing. MG: data analysis. LCH: data analysis and manuscript editing. GP: contribution of endometrial specimens. GZ: protocol/project development, data analysis, and manuscript editing. HA: protocol/project development and manuscript editing. S. Schug was supported by the German Research Foundation (DFG, Grant SO 1231/1-1) and a junior research grant awarded by the University of Leipzig Medical School.